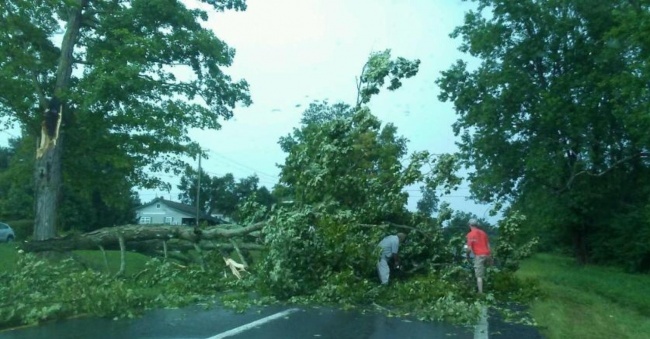 Two men work to clear a large tree that fell across the northbound lanes of Route 11 on Sunday after one of several storms rolled through the area during the day. Storms struck throughout the area dumping heavy rain with winds and some tree damage, and there was a severe thunderstorm warning issued late Sunday morning. Photo by Danielle Reid.